Serviceplan Belgium created an architectural model with a difference, in order to promote an Amnesty International petition supporting human rights campaigner Ni Yulan, and drawing attention to the millions of Chinese forced out of their homes to make way for real estate. New building projects in China come with a price. Ni Yulan is paying for it. For the past 20 years, China has been building on a scale never seen before. 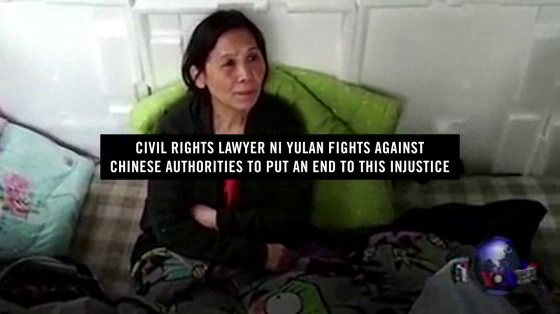 With this campaign mnesty International draws attention to the plight of human rights defender Ni Yulan. The Amnesty International film has been broadcast during cultural festivals in Belgium. In order to reinforce the campaign, Serviceplan also created a stand around its 3D model with the same model figures, a poster, an ad and flyers.